Dawson City: Frozen Time opens with the statistic that 80% of silent films are estimated to have been lost forever, a number that makes the films we do have feel even more precious than they are, and makes the discovery of any long-lost films feel like stumbling across buried treasure. In this case, the treasure was literally buried – 1500 reels of film were dug up from the frozen ground in Dawson City, Canada in 1978, of which 522 were salvageable. These reels form the backbone of Dawson City: Frozen Time, a film that tells the story of how so much nitrate film stock wound up in the Yukon. It's a complex story and Morrison doesn't stint on details, with the onslaught of information feeling a little overwhelming at the start of the film, but as Dawson City: Frozen Time progresses, and as we are drawn into the film by the the haunting soundscape crafted by Alex Somers and John Somers, the facts coalesce into an astonishingly vivid portrait of a particular time and place, simultaneously telling us the story of the birth of Dawson City, and the birth of cinema itself. When the film begins it appears to be a conventional documentary, but Morrison quickly abandons that idea. As in his astonishing 2002 feature Decasia - which turned the decay of film stock into an aesthetic virtue – Morrison allows the images to tell the story, and so the history of Dawson City is told through photographs and through excerpts from the films that were dug up almost forty years ago. Images take us through the town's rise and fall as fortunes gleamed in the gold rush fluctuated, through the violent miners' strike of 1914, and it introduces us to figures who passed through the town, often on their way to making a name for themselves elsewhere, such as Jack London or Sid Grauman. The film is enlightening and evocative through the sense of history alone, but what really dazzles is the imagery – sometimes showing signs of damage, but always fascinating and often entrancing. From an educational film showing the birth of frogs to a montage of the films that played in local cinemas before being dumped there, Dawson City being the end of the distribution line and with the film companys reluctant to cover the cost of shipping them back; films such as The Unpardonable Sin, The Female of the Species, Barriers of Society, The Hidden Scar, The Marriage Lie, A Sagebrush Hamlet. There's something overwhelmingly moving about seeing these images, once assumed lost forever, flickering back into life once more. 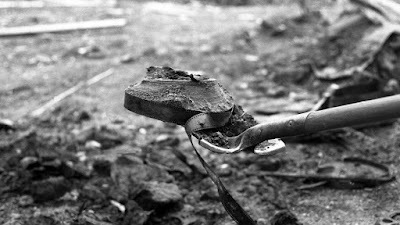 Dawson City: Frozen Time might begin with a lament for what has been lost, but the film itself is an act of resurrection, and it is glorious to behold. Paul Anton Smith doesn't have any credits on his IMDb page prior to Have You Seen My Movie? but he did serve his time working on Christian Marclay's The Clock, which was an editing job like no other. That film collected images from cinema and television that either showed a clock face or mentioned the time of day and assembled them in chronological order, creating a unique 24-hour cinematic experience, with the time on screen always reflecting the time at which audiences were watching it. Have You Seen My Movie? is not dissimilar in its construction, but here the act of watching films is the focus. Smith has collected clips of characters watching films, projecting films or engaging in some activity related to being in or around a cinema, and he has stitched them together in a loose narrative shape aimed at reflecting the act of cinemagoing. So we have Marcello Mastroianni collecting tickets, Woody Allen frustratedly waiting in line, Brad Pitt splicing film reels together, Gene Kelly turning up for a premiere, and Jean-Pierre Léaud on an awkward date. The film moves through these themed passages sequentially, which sometimes makes it feel like little more than a clip reel, but there are also moments when Smith lets scenes from different movies speak to each other, which was one of the key factors in The Clock's mesmerising quality. Michael Jackson is enjoying munching on his popcorn while watching Scream 2, and Christopher Lloyd is distracted in his projection room by a man masturbating in black-and-white amid reels of film (nonplussed, he turns back to his food). Have You Seen My Movie? is a little uneven in its pacing and some segments, like a focus on propaganda films or religious icons, feel out of place amid the general theme of the public act of filmgoing, but for the most part the film is a treat for cinephiles ready to wallow in nostalgia. 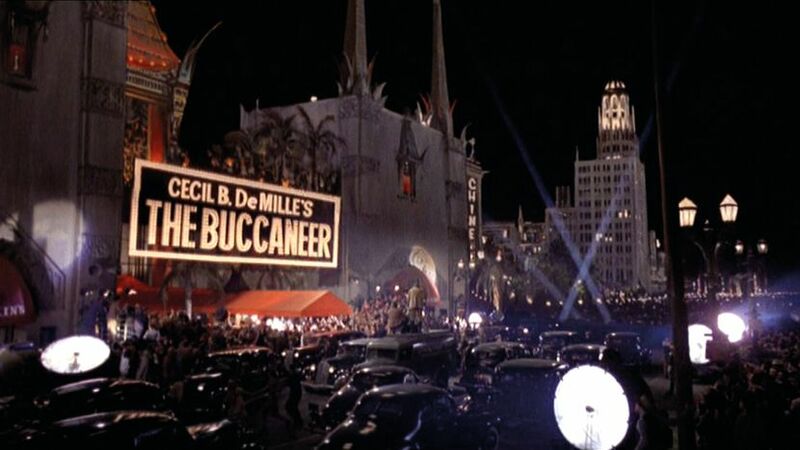 In fact, it's striking just how many of the contemporary films shown take place in the past. Going to the movies ain't what it used to be. People often seem to ask what happened to Terrence Malick, but perhaps we'd be better off asking what happened to us. Just five years ago Malick seemed to reach a career peak, with The Tree of Life being hailed as a masterpiece, winning the Palme d'Or and earning major Oscar nominations. Since then, however, the fall in Malick's public standing has been stunningly precipitous. To the Wonder and Knight of Cups were barely released and earned largely dismissive reviews, and the reaction to the director's long-gestating passion project Voyage of Time: Life's Journey has been lukewarm at best. What happened? As far as I can see, Malick remains one of the most vital filmmaker, and you can draw a clear line through his work, with each film building on the previous one in some ways while pushing into completely new territory in others. The one consistent factor in Malick's work is that they are visually singular experiences, with Malick's dedication to seeking out beautiful images, and to present the world to us in a way we've never seen it before, never wavering. We've seen some of the images in Voyage of Time before. The film is essentially an augmented and reworked adaptation of the creation sequence in The Tree of Life, being expanded to 45 minutes for IMAX screens and to 90 minutes for regular cinemas, which is the cut I saw. In many respects, the film is exactly what you'd expect, as myriad gorgeous sights appear on screen under a voiceover from Cate Blanchett in which she calls beseechingly for “Mother”, but describing what happens in Voyage of Time is not the same thing as experiencing it. 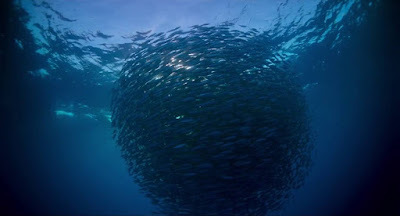 Many will accuse Voyage of Time of being little more than a glossier take on a TV nature documentary, but to do so is to overlook both the extraordinary imagination and elegance of these intoxicating images, and to ignore the film's rhythm, which exerts a mesmeric pull as it flows in step with the powerful orchestral score to depict the creation of the universe and the evolution of the species. As if to lament for our inability to appreciate such things, the film sometimes cuts to low-resolution footage of people in contemporary societies, as if to remind us how small we are in the grand scheme of things. People find it very easy to mock Malick now, but I can't think of any other filmmaker who is so sincere in his dedication to reaching for the stars, and is so dedicated in his pursuit of a language that can express the ineffable. Far from indicating a decline, I think his post-Tree of Life work confirms his status as one of the most radical artists in American cinema. We don't deserve him.